【Clean Appearance】No extra and messy cables, mini USB cable provided for giving you a clean and tidy appearance. 【Work with AC Outlet】Convenient for you to mount your camera to anywhere you need, living room, baby room or garage as long as there is an AC outlet for plugging in. 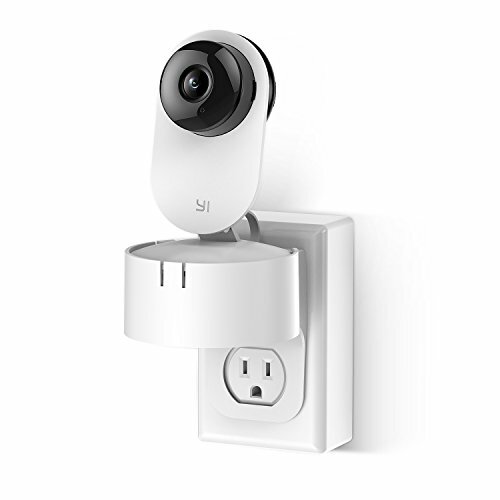 【Non-destructive Installation】Simple buckle design, easy to install Mi Home Camera, and will not damage your camera. Also no tools required or wall damage for mounting. 【360 Degree Rotation】Flexible view angle provides best viewing experience, allow you to adjust your camera to point anywhere you want with any angle. 【Supreme Quality】Made of durable ABS plastic material, it can fix the security camera standing stably, provides durability and a long-lasting performance.